This herbal remedy – Aloe Vera Gel is known for providing relief for a number of skin conditions, including dry skin and acute acne. Due to its several benefits and uses to the skin and hair, aloe vera has acquired pronounced recognition and has become an important natural ingredient to be used in various beauty products by even big brands. Aloe vera has many properties that are useful in treating a number of skin problems, such as flaky or dry skin, cosmetic, cosmetic disorders, hair and scalp problems. Aloe Vera gel can be used as A Moisturizer: It has great moisturizing properties, so it’s really beneficial for dry skin. This natural moisturizer maintains the skin hydrated and enhances its elasticity. When applied topically, it releases natural enzymes and essential vitamins on the skin to yield a deep moisturizing effect that causes to restore pH balance as well. 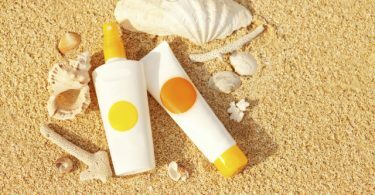 It also supplies oxygen to the skin, which strengthens the skin tissues and maintains the skin healthy.The best thing is it moisturizes the skin without giving it a greasy feel, so it’s ideal for those having oily complexion. It’s great for facial use, particularly for women who use makeup often, as it really cleanse and soften the skin. 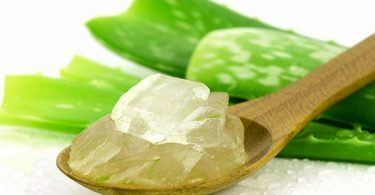 Aloe Vera gel For Acne Treatment: Aloe Vera gel possesses two hormones – Auxin and Gibberellin that provide wound healing and anti-inflammatory properties. Because of these properties, it can be used to reduce inflammation, blistering and itchiness. Gibberellin in aloe vera acts as a growth hormone. It not only promotes the growth of new skin cells, but also stimulates the skin to heal quickly and causing minimal scarring. Whereas, it does not completely cure the acne but it reduces the inflammation and redness of the skin effectively. You can also use it to prevent the triggering of pimples and acne. You can apply aloe vera gel or juice directly on the affected area to cure acne. 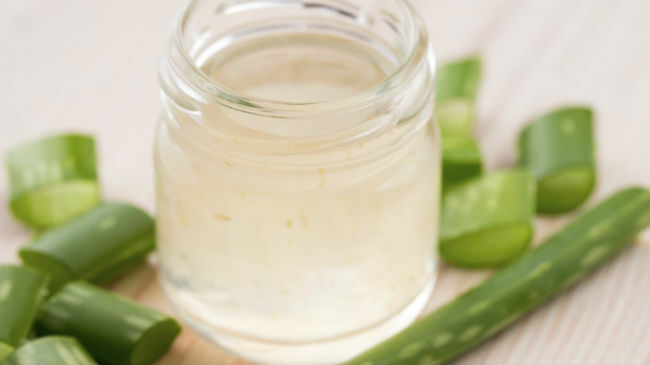 Alternatively, you can male an aloe vera face mask for acne by boiling aloe vera leaves in water and make its paste. Mix in a few drops of honey, and apply it on your face. Allow it to sit for about 15 minutes, and then rinse it off with water.